PES 2009 was great, but PES 2010 should be even better. 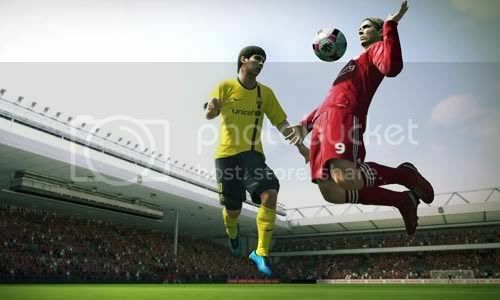 The PES 2010 PC Demo, as well as the PS3 and Xbox versions, gives users the possibility to play a 5 minute friendly game against the computer, or a friend. Players can choose between Barcelona with in-form Messi, Liverpool with great as ever Steven Gerrard, and four national teams like Spain, France, Italy, and Germany. The game feels great although the graphics haven’t been changed too much, while the gameplay has been tweaked a little even though speed is probably the most important ability in the game. I do not want to fire the peaceful waters here, but I must say that Konami’s PES is a lot better than EA’s FIFA and I’m a regular PES player for 6 years now. Until EA improves the gameplay and the graphics of the FIFA, I’m going to stand by my decision. According to my own investigation, millions of people all over the world receive the business loans at good creditors. Therefore, there is a good chance to find a term loan in any country.